sound legal counsel and proven strategies to achieve your goals. Glynn Law Offices offers clients the same resources as many large firms, without sacrificing the attentive and responsive service that comes with a small law firm. We are dedicated to developing lasting client relationships based upon accessibility, reliability and results. To schedule an appointment with Glynn Law Offices, call us at 508.548.8282 or contact our office online. 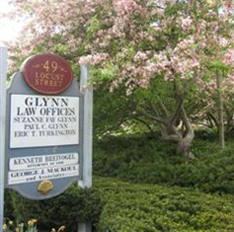 Glynn Law Offices is located in Falmouth and serves clients throughout eastern Massachusetts.